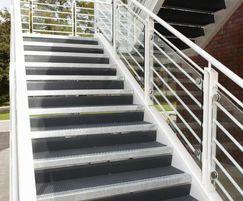 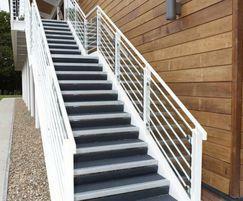 Type O5-M bespoke stair treads are available with or without a removable nosing and riser plate. 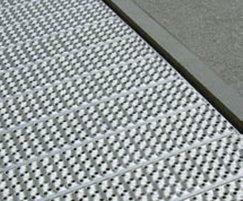 They are characterised by small 5mm dia raised / depressed holes which provide a stileto-proof, non-slip surface (PTV789). 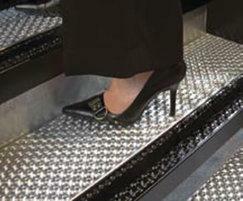 They are typically used on high working areas to stop falling objects, and in public areas needing heel-proof flooring. 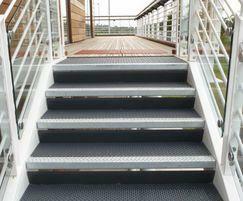 Type O5-M is suitable for fire escapes, secondary and main staircases requiring BS 8300 or Part M building regulation compliance. 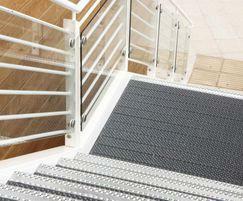 It is typically used in schools, universities, commercial, industrial and institutional areas. 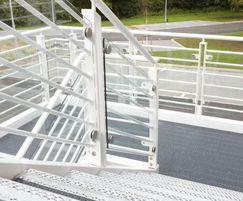 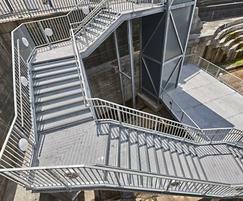 Landings and walkways are manufactured from the standard O5 planks welded together into read-to-fit modules. 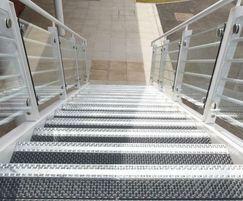 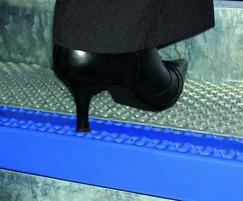 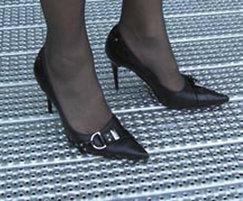 The treads are made from galvanised carbon steel to BS EN 1461:2009 and aluminium.